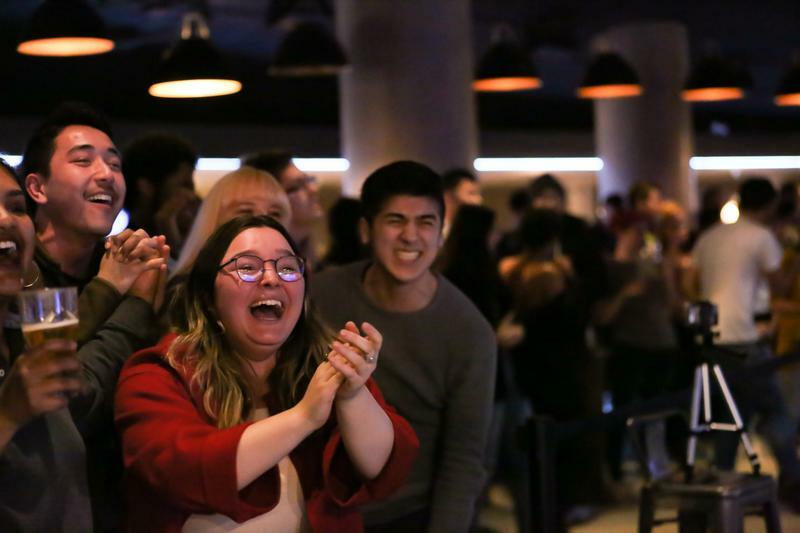 Fear of losing the UPass drove more students than usual to vote in the latest AMS elections — but many abstained more than they actually voted. Turnout at the AMS elections is notoriously bad, so bad that this year’s turnout of 21.7 per cent is seen as a good year. But many of the 12,383 voters focused more on the referenda questions, specifically the UPass, than they did on the AMS executive races — despite the fact that every single executive race was contested. Over 30 per cent of voters abstained from voting in the AMS Presidential race — and that was the lowest rate of abstention of all of the executive races. In the VP External Affairs race, 45.2 per cent of voters did not vote for any of the three candidates. The VP Academic and University Affairs race was comparatively better with an abstention rate of only 41 per cent. VP Finance and VP Administration were even worse, with abstention rates of 44.9 per cent and 48.8 per cent, respectively. If “Abstain” were a candidate, it would have been almost unanimously elected. Political Science professor Andrew Owen theorized the high rates of abstention could be due to lack of general information about the candidates. AMS executives have no party affiliations, making it more difficult to know their exact platform positions without doing the research. “Little information promotes apathy, which promotes no desire to seek out information, which means even less information.” he said. However, voters were not allowed to abstain from voting in the Senate and Board of Governor’s (BoG) races, because the University Act, which governs BC postsecondaries, requires these positions be filled. This raises a question: if voters were so reluctant to vote for executive positions that they abstained from voting altogether, what did those voters do when forced to vote for Senate and BoG? Owen says that if a voter is forced to choose, name recognition could make the difference. “If you know the name and you know no other information, I think people would tend to vote for that person,” he said. However, that didn’t necessarily hold ground in the Senate races. Incumbents Max Holmes and Nick Pang received fairly high percentages of the vote, with 10.8 per cent and 13 per cent respectively. But the candidates that received the most votes were newcomers Julia Chai (14.7 per cent) and Julia Burnham (14.4 per cent). Chai worked in the Science Undergraduate society, so she likely garnered votes from students in science, but Burnham’s work in the AMS office previously wouldn’t lend itself to much name recognition. However, AMS President-elect and current VP Admin Chris Hakim has a fairly high turnout at 14.1 per cent, giving the name recognition theory some ground. In the BoG election, name recognition seems to have made a difference. Incumbent Jeanie Malone received 32.3 per cent of the vote, while current VP Academic and University Affairs Max Holmes (27.2 per cent) only beat AMS law councillor Dylan Braam (23.6 per cent) for the second seat by 700 votes. Awais Quadre received 17 per cent of the votes, despite having no prior experience in the AMS — and likely little a name recognition. This could support a second theory — that when they’re forced to, many voters might just check a couple boxes and move along. “If you were ... given a list of names you've never seen before, and you had to vote, you could just be picking a random,” Owen said.